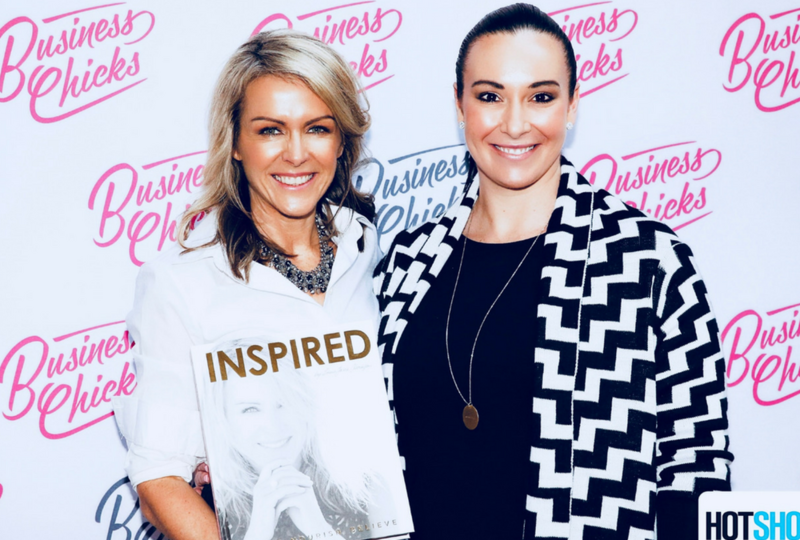 Ok, so I was lucky enough to spend the morning yesterday eating breakfast and listening to someone I admire (Lorna Jane Clarkson), talk about her business, her inspiration and what motivates her to continue to do what she does, which inspiring the rest of us! It was a moment in time for me to take stock and remember why I continue to do what I do. A timely reminder that being who you truly are and who you need to be is so, so important. Spending your life doing what others are doing, or what they expect you to do is a waste of a journey. We are all born unique and have something to offer, find what that is and share it with everyone! Lorna to me is the Queen of the current fashion phenomenon “activewear”, the combination of gym gear and ready-to-wear fashion. This phenomenon is transforming our day to day choices in clothing and having a positive side effect on our overall wellbeing. Long gone are the days of it being a social faux pas to be seen outside the gym in your gym clothes. Today it is normal to go about your day in activewear without anyone batting an eyelid, even if you have been to the gym or not. In the 90’s you would not wear your gym gear if you weren’t going to the gym, why would you? You would also more than likely wear your old clothes to exercise in, an old t-shirt and shorts, they were only going to get sweaty and dirty, right? Back in the 80’s with spandex g-string leotards, with matching leg warmers being worn in the gym, you had to get changed before picking the kids up from school, it was insane not to!! But today activewear has been trending on runways at fashion weeks across the world. Large fashion chains are adding activewear to their lines and you can now buy your fashion items with your gym gear in one transaction, like at H&M and Country Road. Top designers have taken note of what is trending on the street. Bright colours, comfortable footwear, outfits that go from brunch to yoga, to a meeting, to school pickup. All the slogan clad people juggling busy lives that want to be comfortable AND fashionable. A perfect example is Chanel’s new Spring/Summer 2015 sneaker, it’s a very clear sign activewear is making an impact! As I mentioned above, this is more than a fashion trend, it’s a lifestyle trend. The line between work and play has been blurred. Wearing activewear throughout a busy day makes you feel like you can tackle it all, work, family and everything in between. Health is a new wealth, being seen to be a happy healthy participant in life is fast becoming the top trend on social media. This is subsequently driving the activewear market to grow at a frantic pace, brands like Nike and Adidas can no longer just make their men’s clothing smaller and in pink and expect women to be happy with it. We want so much more. We want the entire healthy lifestyle experience. I was working out this week at 6:30 am and it was -1 degree in my gym (Crossfit doesn’t believe in mirrors, air-conditioning or heat), yes we are crazy. We all came in rugged up like we were about to go hiking in the Himalayas, lots of layers, lots of greys and black. However, after the warm-up, the room looked more like a fashion parade than a Crossfit gym. Insane patterns, bright colours, fun slogans, once we were warm enough to remove our outer-shell we could reveal our outfit of choice to the rest of the clan. You could hear girls asking “where did you get those leggings?” “Is that new?” “Can that top have a layer underneath?” “Love the colour of your shoes!” I heard all of these comments in a 15 minute period! Clothing can have a profound effect on your mood. If you feel good and look good, you go about your day with a healthy positive attitude. Wearing great activewear makes you want to eat better, make that lunchtime gym session and make healthier choices overall. I can’t wait to see how far this trend goes, I don’t see it declining, I think this is just the beginning, perhaps in the near future, this trend will begin to be seen in school uniforms and fingers crossed in the corporate world as well. As long as there are people like Lorna Jane Clarkson pushing the boundaries and designing outstanding clothing I think the future looks very healthy. Love HEALTH IS A NEW WEALTH? Or know someone who needs to read this? Please share away!